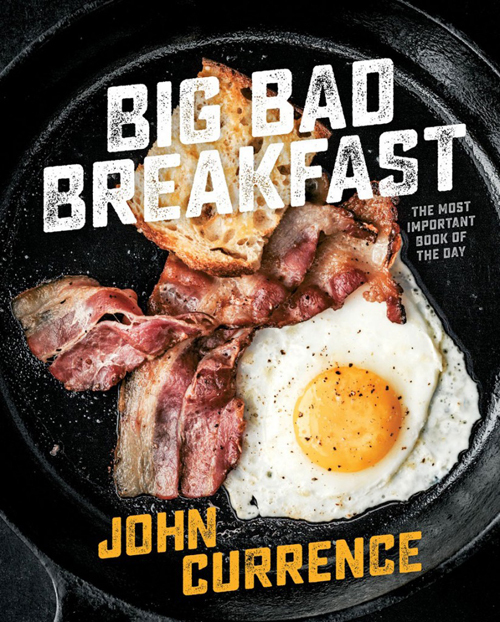 In his cookbook, breakfast does indeed take center stage with recipes such as “Low Country Cast-Iron Skillet Scramble” with andouille sausage, shrimp, and potato hash; “Roasted Tomato Cobbler” crowned with black-pepper buttermilk biscuits; and “Sausage Cinnamon Rolls” that are sweet, savory, and yes, meaty. 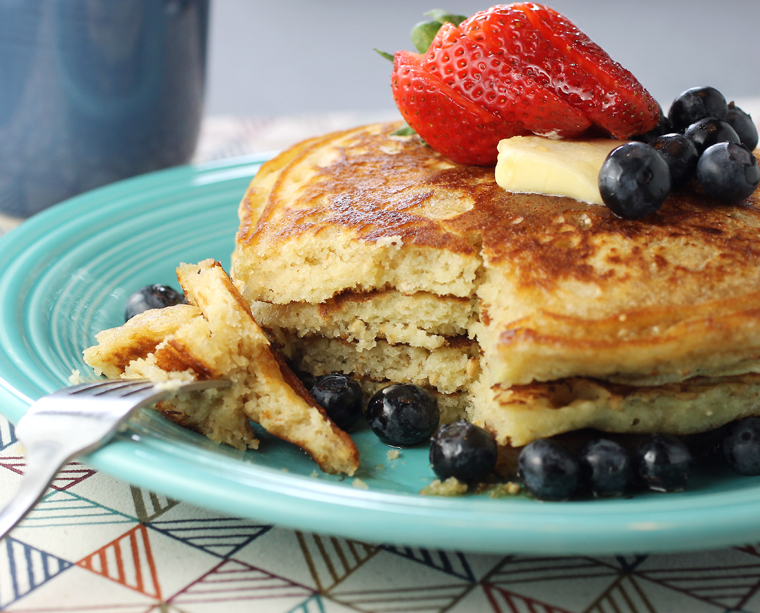 These oatmeal pancakes incorporate half a dozen eggs, a load of buttermilk, as well as whole milk, 3/4 cup of butter, and a whopping 1/4 cup baking powder. All that helps the pancakes rise to fluffy heights. 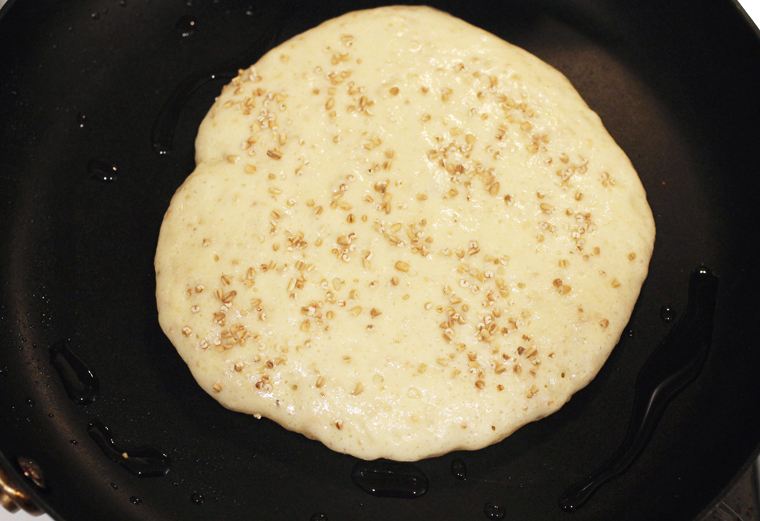 Toasted, ground steel-cut oats get sprinkled on top as each pancake cooks. I had to laugh when I read the recipe serves three. Staring at my mountain of pancakes, I would venture to guess it serves more like six people. The original recipe also states it makes 12 to 15 pancakes. I found it made at least 20 good-sized ones. Trust me, there will be enough pancakes to feed a small army. If that’s too much, you can always cut the recipe in half. Or do what I did, which is cook them all, then freeze them, placing parchment paper between each one, before stacking them in a sealable container or zip-lock bag. 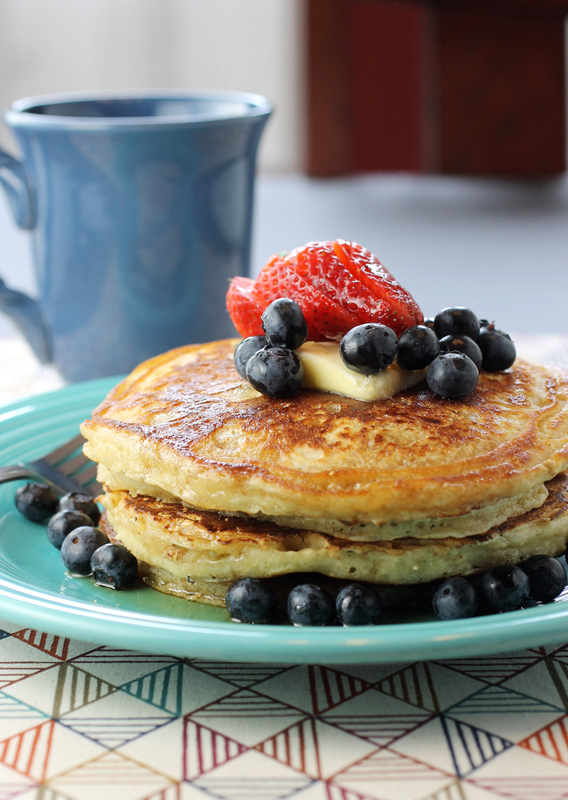 The pancakes are hearty with a lovely roasty-toasty flavor. Owing to the steel-cut oats, they are quite filling. Two of these bad boys will probably be enough for most people for breakfast. They are big. They are bad. And they are bodacious. Preheat the oven to 350 degrees. 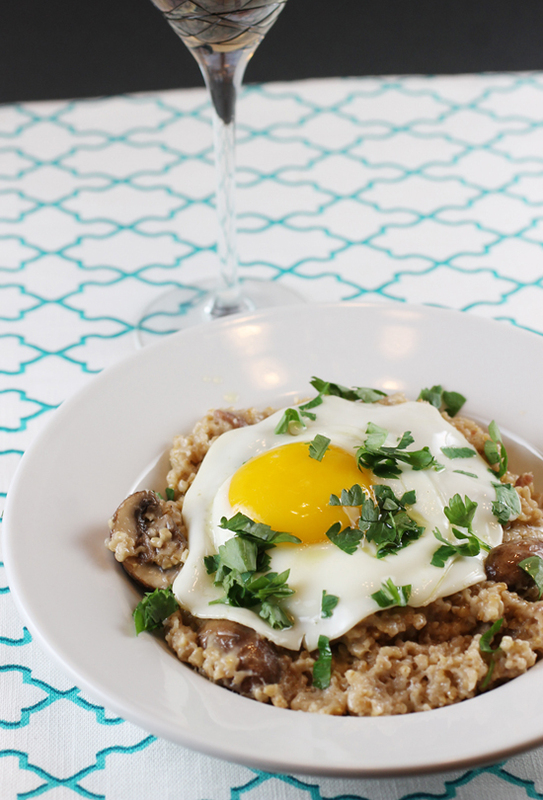 Spread out the oats on a baking sheet and bake, stirring every few minutes, until toasted, about 12 minutes. Remove from the oven and allow to cool briefly. Place 1 1/4 cups of the toasted oats in a spice grinder or food processor and pulse until finely ground. Reserve the remaining 1/4 cup of whole toasted oats. 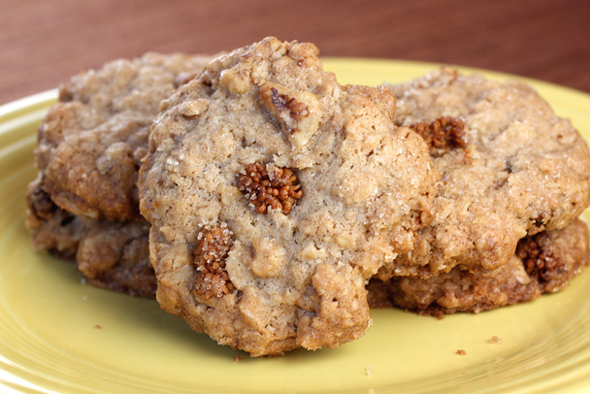 In a bowl, whisk together the flour, ground toasted oats, sugar, baking powder, baking soda, and salt. In a separate bowl, whisk together the buttermilk, milk, eggs, and vanilla. Pour the buttermilk mixture into the flour mixture and whisk together until smooth. Stir in the melted butter until well combined. Warm 1 1/2 tablespoons of clarified butter in a saute pan over medium heat for 30 seconds. 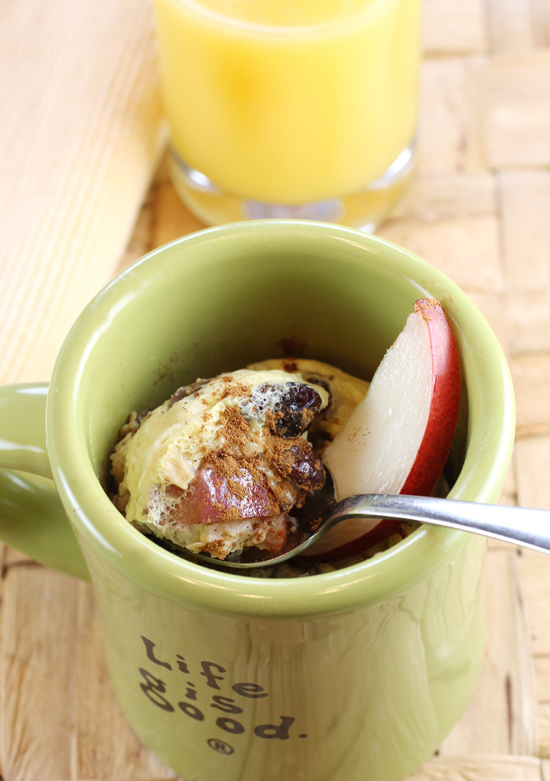 Spoon the batter into the pan 1/4 cup at a time and sprinkle the reserved toasted oats on top. Cook until the tops begin to bubble lightly, about 1 1/2 minutes. Flip and cook until the bottoms begin to bubble lightly, about 1 1/2 minutes. Flip and cook until the bottoms begin to brown, about another 30 seconds. Repeat with the remaining batter, adding more clarified butter between batches as needed. Serve immediately with the cold butter, strawberries, and syrup.